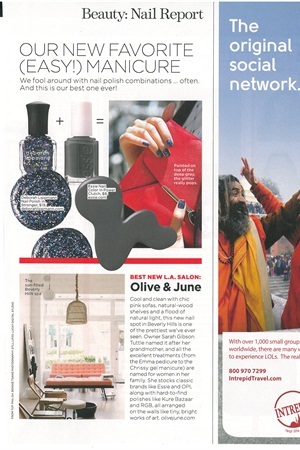 Lucky's November 2013 issue offers a fresh new manicure: a polish combo. The bottom layer is Essie Nail Color in Power Clutch and on top of that is Deborah Lippmann's Nail Polish in Stronger. On top of that deep gray, the glitter really pops.